‘Nuff said!! Pipe in if you wish. I thought it was funny…still do. 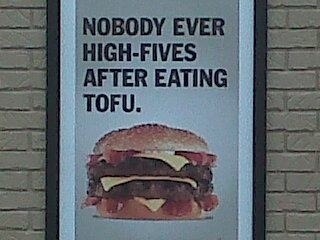 But I eat (and enjoy) tofu all the same. Lived in Japan for six years. How could I NOT enjoy it? ?